Charged with DUI, Felony DUI, Vehicular Assault, Vehicular Homicide, DWAI or DUID in Kit Carson County? Call Burlington DUI Attorney Chris Cessna today for a FREE Consultation to discuss your DUI in Burlington, Colorado. Chris Cessna will protect you after being accused of Driving Under the Influence of Alcohol, Marijuana or Prescription Drugs in Kit Carson County. For a FREE Consultation to discuss your DUI, Felony DUI, Vehicular Assault, Vehicular Homicide, DUID “Drugged Driving” or DWAI charge in Kit Carson County call 720-343-8676 today and talk to Burlington DUI Attorney Chris Cessna. The Law Office of Christoper H. Cessna offers Military Discounts and Payment Plans and accepts Visa, MasterCard and American Express. In most cases in Colorado, you only have seven (7) days from the date of your arrest for DUI, Felony DUI, Vehicular Assault, Vehicular Homicide, DWAI or DUID in Kit Carson County to request an administrative hearing for your driver’s license. If you don’t, your driver’s license may be automatically suspended. For immediate help, contact Burlington DUI Attorney Chris Cessna at the Law Office of Christoper H. Cessna at 720-343-8676. The Law Office of Christoper H. Cessna offers Military Discounts and Payment Plans and accepts Visa, MasterCard and American Express. Military Discounts and Payment Plans are available for all DUI, Felony DUI, Vehicular Assault, Vehicular Homicide, DUID “Drugged Driving” or DWAI charges in Kit Carson County, Colorado. Call Burlington DUI Attorney Chris Cessna at 720-343-8676 for a FREE Consultation. 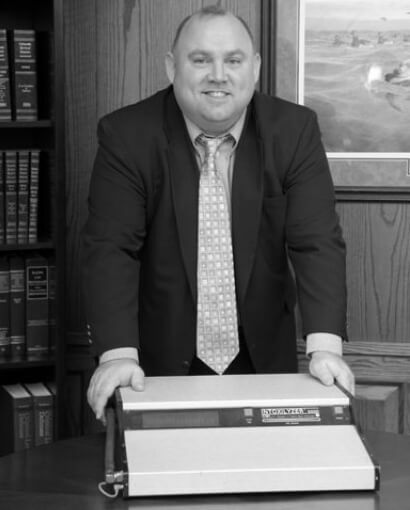 Why should you hire Burlington DUI Attorney Chris Cessna to represent you? Burlington DUI Attorney Chris Cessna focuses his criminal defense practice on DUI, Felony DUI, Vehicular Assault, Vehicular Homicide, DWAI and DUID cases in Colorado. Attorney Cessna brings a unique combination of his past experiences of being a DUI police officer and DUI prosecutor as well as his certifications and continuous training in DUI defense and strategies to build you the best aggressive DUI defense strategy. Burlington DUI lawyer Chris Cessna has a proven record of success and he will provide straightforward answers throughout your defense. When fighting criminal charges as serious as DUI, Felony DUI, Vehicular Assault, Vehicular Homicide, DWAI or DUID that can leave you with jail time and a permanent criminal record, you need a well experienced DUI lawyer who knows how to navigate the legal system in Kit Carson County with efficiency while clearly communicating with you on all progress in your case. The process of defending against a charge of “driving under the influence” in Kit Carson County is like maneuvering a maze. It takes experience, special insight and knowledge of the DUI, Felony DUI, Vehicular Assault, Vehicular Homicide, DWAI and DUID laws in Colorado to be successful. Fortunately, you don’t have to do it alone. For immediate help, contact the Kit Carson County DUI lawyer Chris Cessna by calling 720-343-8676 or completing the “Request a FREE DUI Attorney Consultation” form. The initial review of your case is always free and the Law Office of Christoper H. Cessna offers affordable payment plans. Chris Cessna started the Law Office of Christoper H. Cessna to help people of Kit Carson County, Colorado who have been charged with DUI, Felony DUI, Vehicular Assault, Vehicular Homicide, DWAI or DUID. Chris knows experience can make a big difference in a DUI case and he’s been involved with DUI cases for over 20 years. He brings unique and specialized training to your DUI defense, including being Colorado’s only DUI attorney who is a NHTSA-Certified Instructor in Field Sobriety Tests and use of the Intoxilyzer 9000, the breath test machine used throughout Colorado. The Law Office of Christoper H. Cessna offers affordable legal fees and Military Discounts for DUI, Felony DUI, Vehicular Assault, Vehicular Homicide, DWAI and DUID cases in Kit Carson County, Colorado. The fees for defending against a DUI, Felony DUI, Vehicular Assault, Vehicular Homicide, DWAI or DUID will vary from case to case based on the unique factors of your case. The Burlington DUI attorneys at the Law Office of Christoper H. Cessna not only offer competitive rates and Military Discounts, but will setup an affordable payment plan around your budget. The Law Office of Christoper H. Cessna accepts personal checks, Visa, MasterCard and American Express for payment of legal services. Call 720-343-8676 today to setup your FREE consultation to discuss your DUI in Kit Carson County, Colorado. What is Driving Under the Influence in Burlington? It’s very important that you hire a DUI attorney in Burlington that has over 20 years of experience to handle your DUI, Felony DUI, Vehicular Assault, Vehicular Homicide, DWAI or DUID charge in Kit Carson County, Colorado. To get started call 720-343-8676 and talk to Burlington DUI attorney Chris Cessna about your case. Chris will give you a FREE Consultation to discuss your case and offers affordable payment plans for your DUI defense. He understands how important it is to keep your record clean. Click here to read more about Colorado’s DUI, Felony DUI, Vehicular Assault, Vehicular Homicide, DWAI and DUID laws especially if this is not your first offense. For immediate help, contact Burlington DUI Attorney Chris Cessna at 720-343-8676. The Law Office of Christoper H. Cessna offers Military Discounts and Payment Plans and accepts Visa, MasterCard and American Express.